Express your feelings to someone special with our Sweet Emojis birthday bouquets. 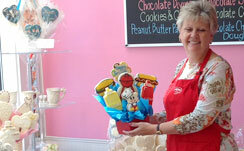 For over 20 years, Cookies by Design Cincinnati has been helping customers with their gift giving needs. Our business is to help our customers make their next gift unique, creative, personal and timely. Our cookie experts pride themselves with the ability to work with our customers to create customized or personalized arrangements with a quick turnaround time. 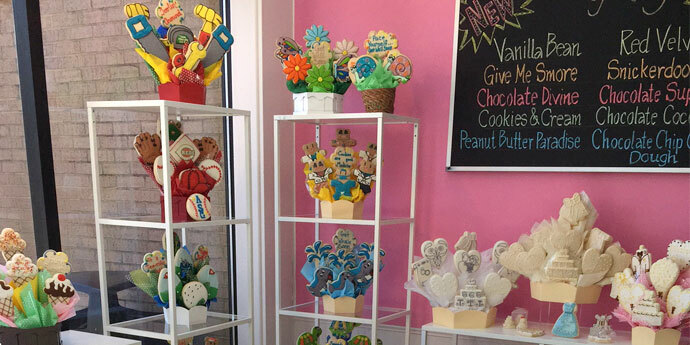 Each of our signature sugar cookies is freshly baked, hand-decorated and can be customized with a name, special message or even a photo or logo. We handle individual and corporate gift giving, with custom cookie bouquets and gift ideas for any occasion. 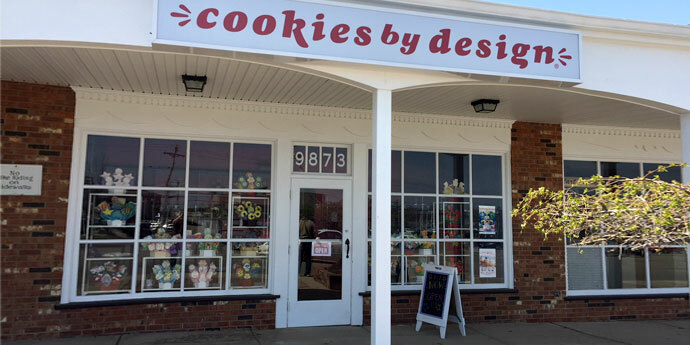 Stop in our Cincinnati bakery located on Montgomery Road in the Montgomery Square Shopping Center and catch the aroma of fresh baked gourmet cookies, cupcakes and treats. Grab a treat for yourself or have a gift basket delivered to a loved one. We offer cookie delivery throughout greater Cincinnati, Butler & Warren Counties, Dayton, Northern Kentucky and Southeast Indiana. Same day delivery is available in most areas.